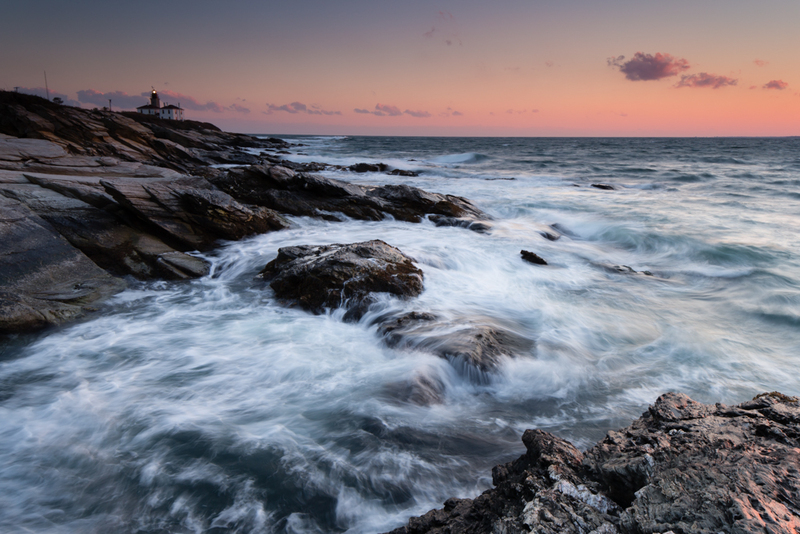 This entry was posted in Gear, Photo of the Week and tagged Beach, Beavertail, Canon, Coast, Color, Island, Jamestown, Landscape, Lighthouse, Long Exposure, New England, Ocean, Photography, Rhode Island, Sea, Sunset, Tilt Shift, Weather by nixonphoto. Bookmark the permalink. I know what you mean about the tilt and shift, those tiny knobs are definitely not meant for cold hands. This was the Canon 24 mm TS. A fantastic lens, just hard to work with when your fingers are numb! Love Beavertail! gorgeous spot, LOTS of great sunsets there. I’ve got a story and some images about it, next time we meet up. Be sure to check out reflection in the windows at the lighthouse itself, lots of material there. It is a lot of fun. Unfortunately I spent all of my time scrambling around on the rocks. I’ll have to look up close at the lighthouse on the next trip. I’ll look forward to seeing your images when we meet up! Looking at the photo, clumsy is not the first word that came to mind. Stunning, yes. But not clumsy. And the focus is pretty amazing. I commend you on your dedication to duty. Facing that climate, and dealing with those controls (with which i have some experience – both the cold and the controls) and still managing to acquire that shot, my hat is off to you. The shot is beautiful. Thanks for sharing. It’s a dirty job but someone has to do it! Many thanks! I am transformed every time I look at this photo. I feel swept up and taken to a new place. I know that exact spot. Love it!